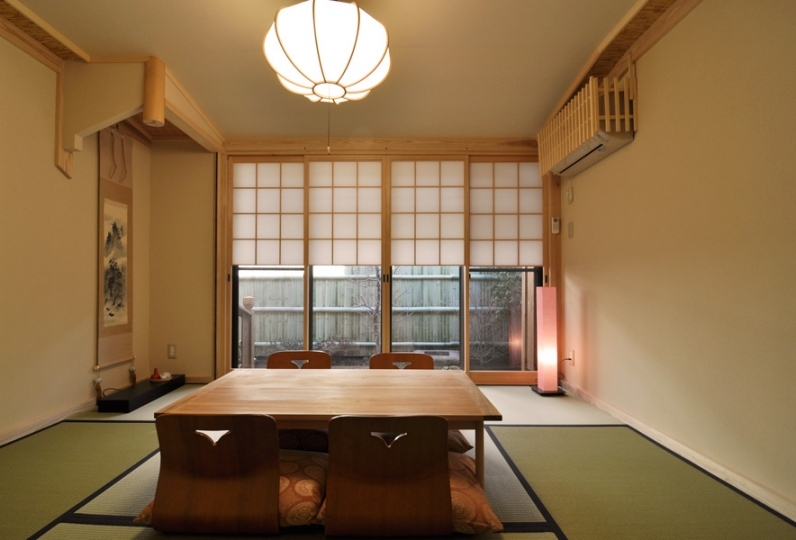 A retreat that is tucked away in a residential area with an old-time feel. First, step through the front door. As you enter, a drawing covered in cherry blossom petals appear before you. Step on to the tiled floor and you will see the yellow gold folding screen, and walking through the wooden floored room you will see the inner garden beyond the kitchen. 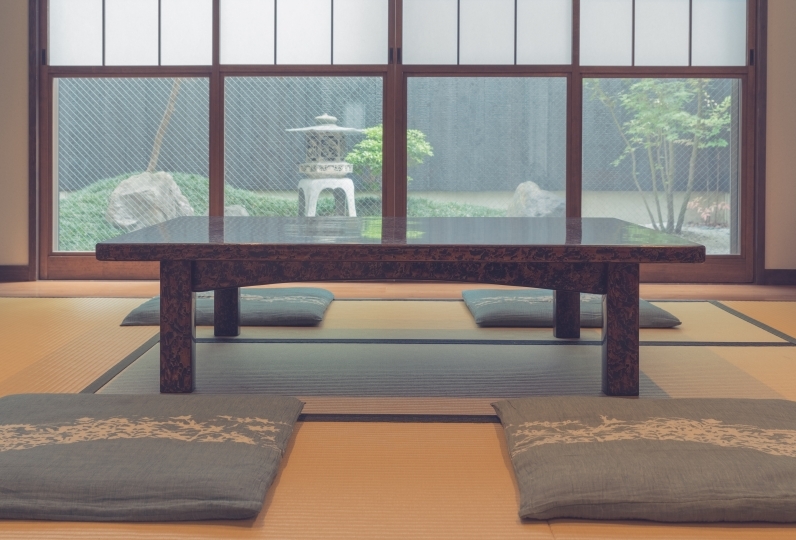 The calming atmosphere might make you feel like you've returned to your childhood home. After a hot bath, take in the refreshing breeze blowing in from the garden, and make your way upstairs. 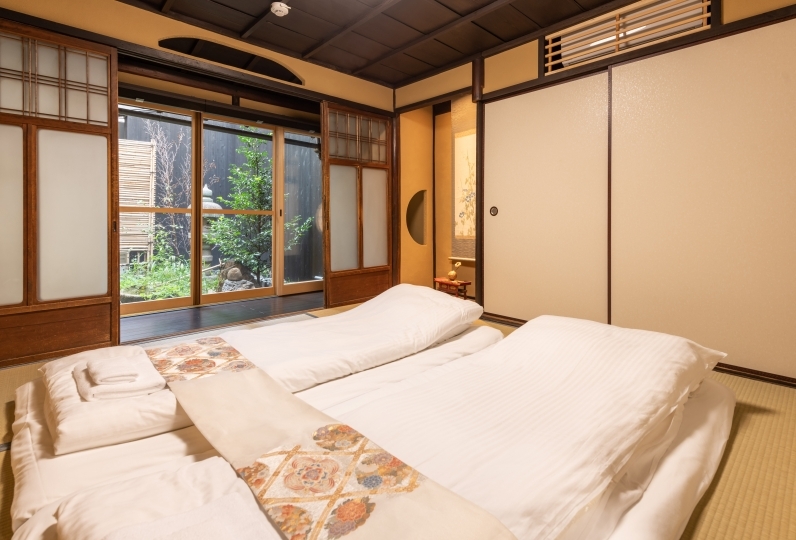 There are two bedrooms there, one Japanese-style, and the other a Western-style room with a double bed. You might have trouble deciding which room to sleep in! You are sure to be satisfied with your choice of lodging. 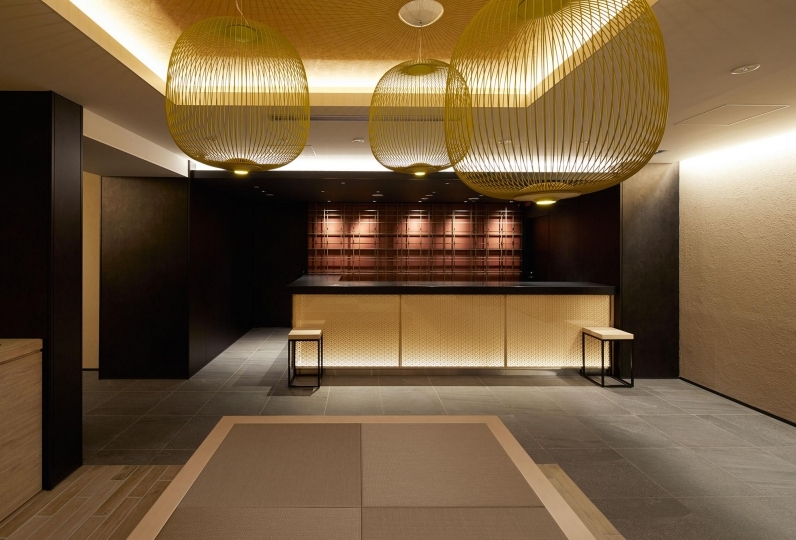 Please contact the accommodation when you arrive at Kyoto Station. 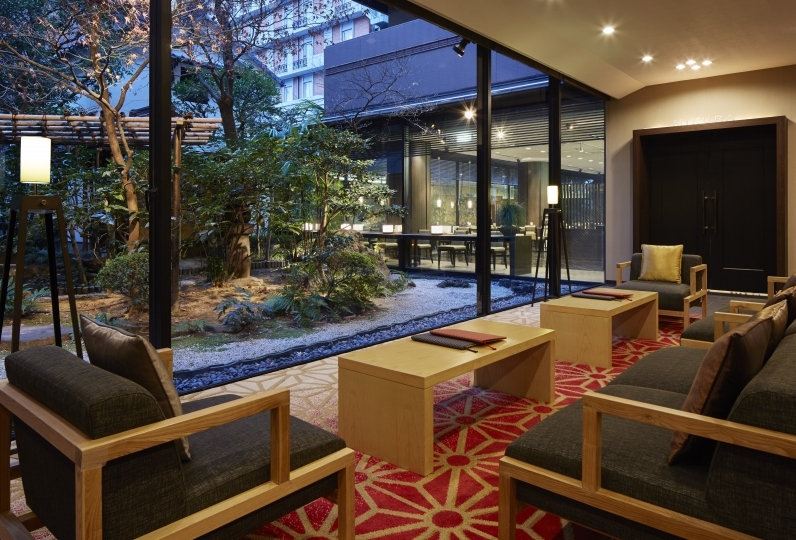 Enjoy Kyoto to your heart's content. This is the perfect place to stay for everyone, including couples, solo travelers, business persons, and families. The bathroom is fitted with a unit bath. 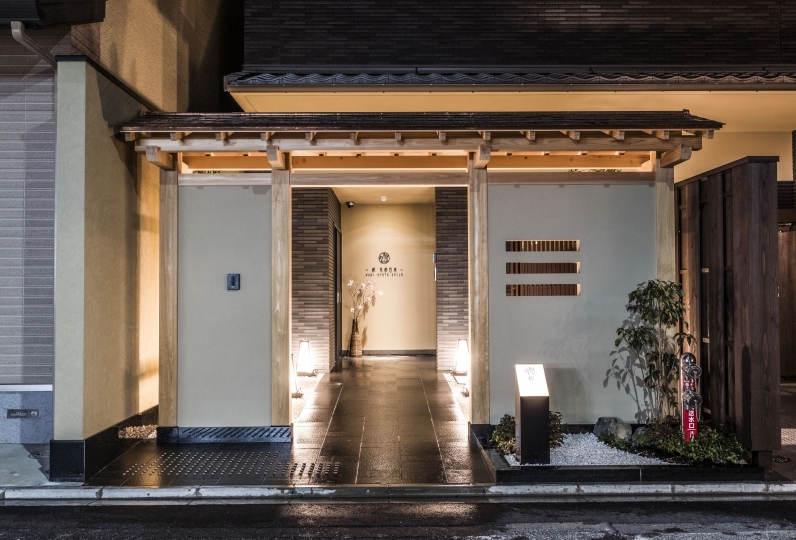 When you cross through the park located on the former site of the Imperial Palace Council Hall, where important events took place around 1150 years ago, you will enter the residential area in which Nijoan is located. When you enter through the front door, there is an old drawing of a cherry blossom right in front of you, and a gold folding screen to your left. 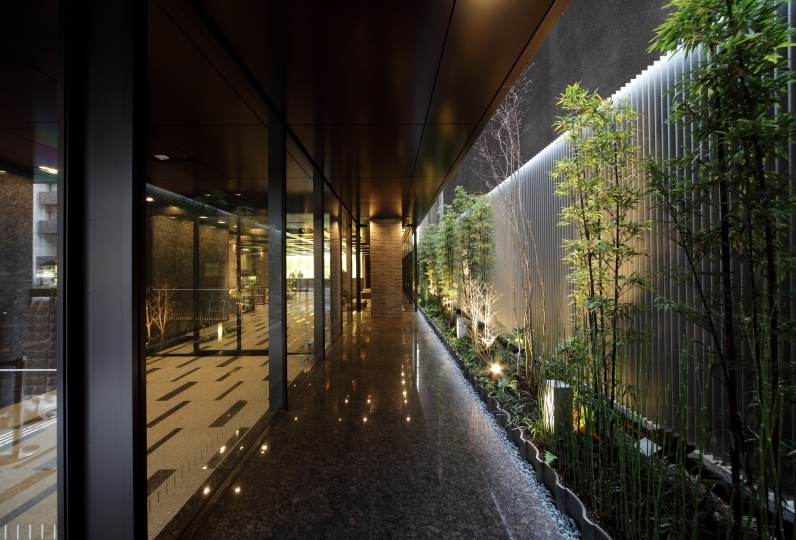 Enter the kitchen and you will be greeted by a Japanese-style room and a garden beyond it. Open the window to the bathroom and you can feel the refreshing breeze blowing in from the garden. 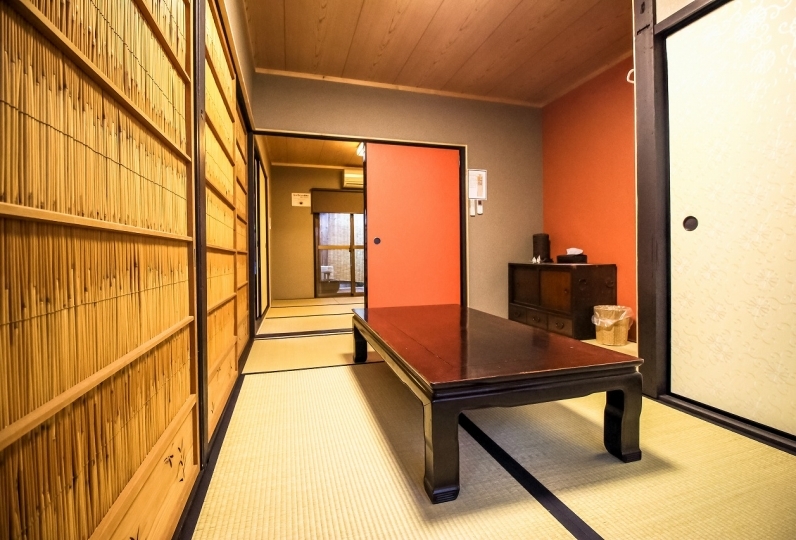 Up the old stairs, there is a Japanese-style room with an alcove containing an enshrined armor, and an old-style Western room. Enjoy a relaxing stay here. 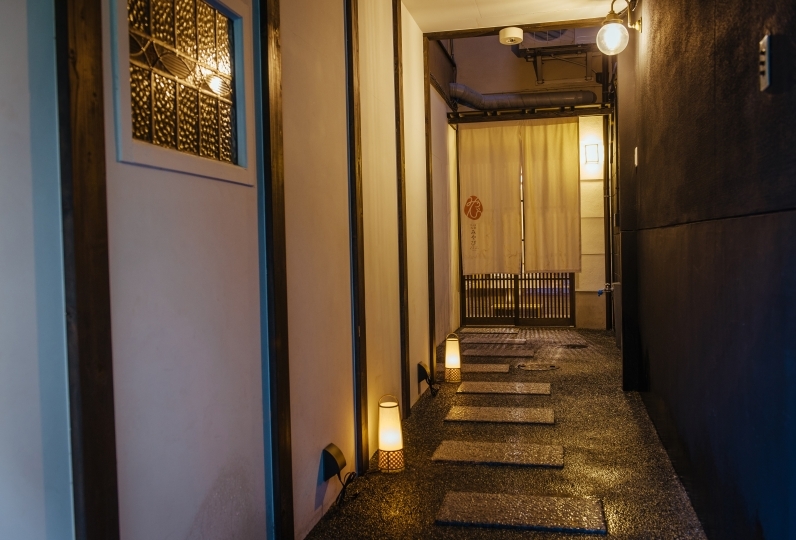 Nijoan is located right by the intersection of Marutamachi Street, which runs through Kyoto from east to west, and Senbon Street that goes north to south. The area is dotted with restaurants, antique stores, convenience stores and more, so you won't tire of it. 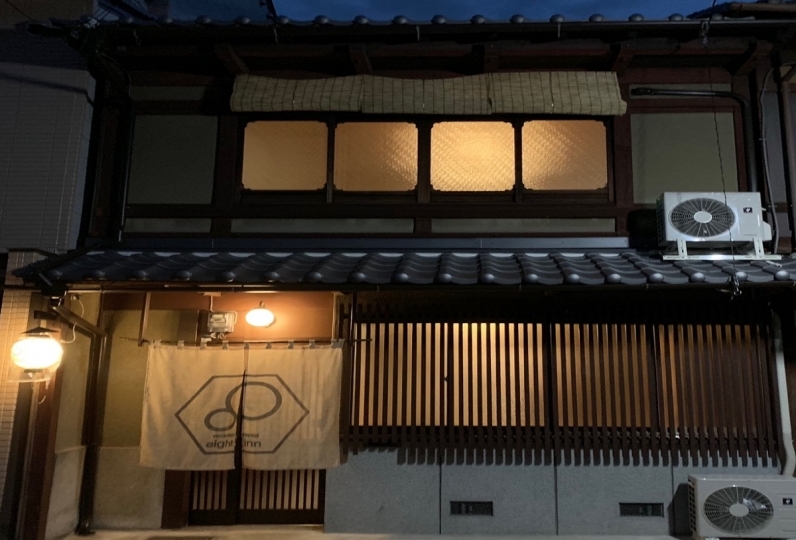 It is just a 5-minute walk to Kamihichiken, an area where apprentice geisha perform, and in the summer there are events where they pour you beer. Kitano Tenmangu is a 10-minute walk away, while Hirano Shrine, which is famous for cherry blossoms, is a 12-minute walk. Beyond the hill is Kinkakuji, so suffice to say, there are many sightseeing spots in the area. ・Babies and toddlers stay for free, but there will be no sleepwear provided for them. Children of elementary school age will be charged as adults. 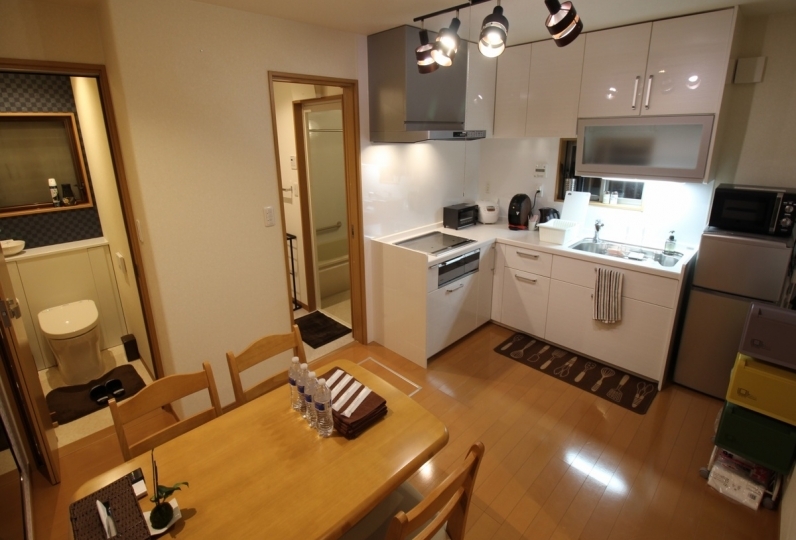 ・From October 1st, 2018, Kyoto accommodation tax is charged separately. 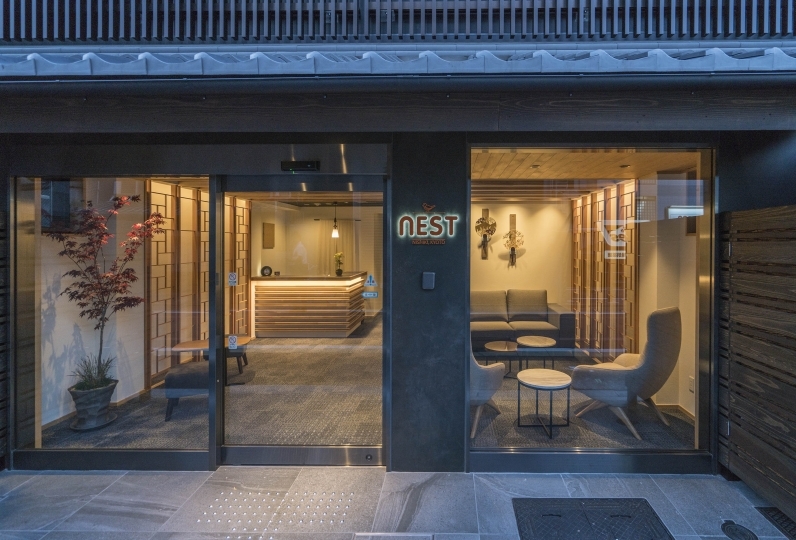 For accommodation that costs less than 20,000 JPY per night, the tax is 200 JPY per night per person. Please keep noise to a minimum around the guesthouse at night. Please refrain from using the washing machine after 22:00. There is no smoking permitted in the guesthouse or in the area around it. Guests can smoke in the garden. Please ensure that the cigarette is put out completely when you are finished smoking.